Apple is already facing its first lawsuit for vanishing iMessage text messages. The problem affects users who switch from iPhone to Android and find text messages from other iPhone users don't reach them. According to Bloomberg, Apple was sued by Adrienne Moore in San Jose, CA, who is seeking class action status for the suit. The problem publicly surfaced earlier in May, when Adam Pash detailed the problems he was experiencing. After switching from iPhone to an Android device, his phone number remained associated with his iCloud account within Apple's ecosystem. This resulted in text messages from Apple devices to that phone number being sent to iCloud/iMessage, rather than the number's true home on his Android device. Text messages from non-iPhone users made it just fine, but messages from iPhone owners were marked as delivered, but not actually delivered. This is a problem a lot of people are facing. The engineering team is working on it but is apparently clueless as to how to fix it. There are no reliable solutions right now — for some people the standard fixes work immediately; many others are in my boat. Considering the ubiquitous nature of text messages today, it's a significant problem for anyone effected, making a lawsuit unsurprising. In addition, as one of the richest entities on the planet, Apple is a ready target for suits. The lawsuit is seeking unspecified damages, and claims that Apple is penalizing users who switch and failed to disclose that switching would result in such a penalty. 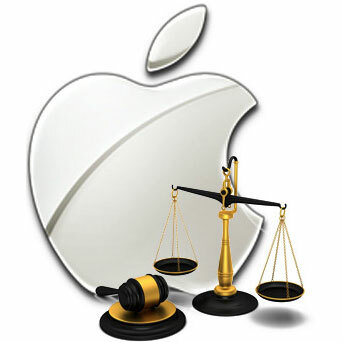 Apple never publicly responds to lawsuits and has not done so on this occasion.